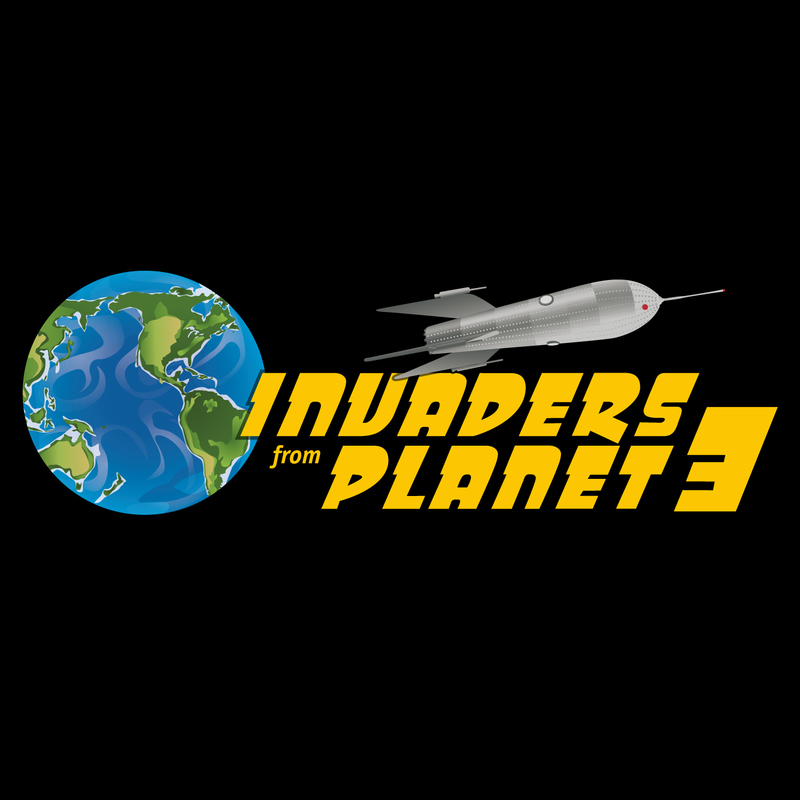 In this episode, we're joined by author Charles Stross who talks about discovering his love of sf when he was 5 and started reading Andre Norton's books at his local library. By the time he was 15, he'd read everything in the genre. Charlie also reflects on how growing up in Britain of the 1970s — a place he describes as a "malfunctioning society" — affected his perception of the American speculative fiction he read. He also discusses the shift that took place in British culture in the 80s, and how that steered him towards a career as a pharmacist — at least until he shifted to computer science and then technical writing. Charlie tells us about his development as a writer, from his beginnings at age 12, to his first attempts to get published in his teens, to selling stories in his 20s, including a novel. He goes on to discuss how working as a pharmacist and in computers gave him insight into how organizations of different sizes function (or malfunction), leading to an understanding of bureaucracy as a villain. He also talks about his ideas around artificial intelligence and the Turing Test, and its relation to the Fermi Paradox. And Charlie also shares some details about his new novel, The Labyrinth Index, as well as an upcoming book, Invisible Sun (in the Empire Games series), and a space opera story called Ghost Engine that's in the works. Our conversation took place in October 2018 at the Vancouver Science Fiction, Fantasy & Games Convention (VCon). We're joined by author and editor Matthew Hughes in this episode. Matt talks about his first love in sf: Jack Vance's "The Dragon Masters", as well as Galactic Derelict by Andre Norton, along with his discovery of Asimov, Heinlein, Bradbury and AE van Vogt. He also discusses some of the historical fiction novelists who influenced him, such as Geoffrey Trease, Henry Treece and Rosemary Sutcliff. Matt talks about being "a guy just passing through" as he shares stories from his early years, starting with an unstable home life where his father, trying to stay one step ahead of money problems, occasionally uprooted the family at a moment's notice — sometimes in the middle of the night to move half-way around the world. There's the story of his teenaged knife fight. And he tells us how taking LSD made him a nicer person. We also hear about Matt's evolution as a writer, from the teenager writing stories, to the newspaper reporter and editor, to the go-to speechwriter for Canadian federal politicians, their provincial counterparts in BC, and business leaders as well. He talks about his first sale of a fictional story, "Fishface and the Leg", and how he developed his career writing crime stories, and science fiction and fantasy. Matt also shares details of the new speculative fiction novel he's developing, about a man in his Jack-Vance-Dying-Earth-inspired world who wakes up with amnesia and finds himself on the road to a confrontation with wizards. Our interview took place in October 2018 at the Vancouver Science Fiction, Fantasy and Games Convention (VCon). I know it's been a month since I've posted anything, which includes being two episodes behind on airing the Invaders From Planet 3 podcast, but I've been knee-deep in life lately and haven't been able to give the nerdiverse my full attention. My plan is to get the delayed episodes up in a few days to get the airing schedule back on track over the holidays. I promise, there are some good interviews coming up that are worth waiting for! 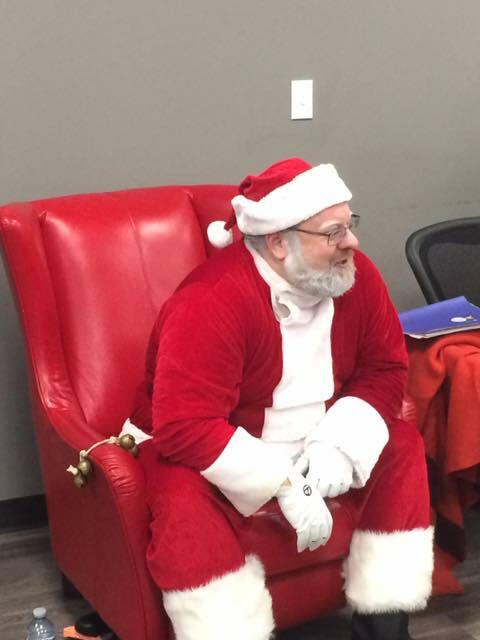 Over the years, I've occasionally been Santa Claus at parties for charities and at offices I've worked at. This year, the Rotary Club of Ladner needed Santa to come to their first annual community tree-lighting celebration, and because my dad is one of the Rotarians, I agreed to be Big Red (to use the elfin security detail's code name for Kris Kringle in "The Tick Loves Santa!" — one of the greatest episodes of the animated series of The Tick). Lots of families came and had lots of fun. About mid-evening, a mother brought her little girl over. She was just a teeny little thing, couldn't have been more than 3 or 4, with a big smile, and was absolutely adorable. She looked up at Santa with big brown eyes full of wonder — think of a brunette, brown-eyed version of Cindy-Lou Who from the original, animated "How the Grinch Stole Christmas" — and hopped up onto my knee, and we began our visit. I asked if she'd be a good girl this year ("Yes! "), and if she'd helped her mommy around the house, again, "Yes!" and she looked so happy that she'd pitched-in. Then I asked what she wanted for Christmas. "Can you please bring my kitty back? He's gone." Boom. A 50-kiloton nuclear bomb to the heart. Because this was a tough one. You see, Santa can't make promises. Some kids will ask for dolls, or LEGO, or radio-controlled cars or trucks, or even new kittens or puppies, but Santa can't promise to bring any of it, because there's no guarantee that their parents will come through, and you can't say anything that will cause the kids to lose hope. It's like J Michael Straczynski wrote in an episode of Babylon 5 (I think this was from one of G'Kar's monologues): "Greater than the death of flesh is the death of hope." Or, as Lorien said in another B5 episode: "Hope is all we have." So all you can say is something like "I'll work with my elves and we'll try to make sure your Christmas is special." And that's generally enough to make the kids happy. Santa hasn't promised anything concrete, so they can't be completely let down if the item doesn't come through, but you're leaving them room to hope, and, as a result. to be happy and enjoy the holiday. But this is something different. In this case, Santa REALLY can't promise anything, because a missing cat may never come home. Heck, for all I knew at the time, the cat may have died and the parents may simply have told the little one that kitty had wandered off, just to make things easier on her. So Santa couldn't say he'd bring the kitty back. But, at the same time, I couldn't crush this little girl's hope. And I had to keep my game face on with only a millisecond to think. So I gave her shoulder a sympathetic squeeze and said "Oh, sweetheart, I'm so sorry your kitty is gone. It's tough when kitties go off on adventures. This is a pretty tall order, but I'll talk to my elves and tell them to go out and keep a look out for your kitty." She gave me a huge smile and a thank-you, and held onto her hope, and I steered things back on track, asking her about toys she'd like, gave her a candy cane I'd said the elves had made especially for her earlier that day, and she eventually left happy. The whole thing has stayed with me for the past few days. And now, just this morning, Dad forwarded me an email from one of his fellow Rotarians: the little girl's mother had been back to the community centre and had told the staff (who passed the word along to the club) how much they'd enjoyed the party and their time with Santa. But, best of all, she said the cat came back that evening after they'd returned home from their visit with Santa. So it seems the little girl got her Christmas wish! Now I certainly can't take any credit for the cat coming home. The wayward fuzzball probably just got cold, wet, tired and hungry enough (even without pursuit by dogs, other cats, raccoons or coyotes) to come home on his/her own. But if this coincidence made that little girl happy, and gave her a sense of holiday magic to make this year extra special — something that will stand out in her memory in the years to come, and hopefully help her make the season special for other people — then that's a real bit of Christmas magic. Whatever you celebrate, and even if you don't celebrate anything in particular, I hope you have a wonderful holiday season. Merry Christmas, everyone.